Watch your favorite movie character as it comes to life with the new HoloLens by Microsoft, which brings holograms to life in your environment. It is where you can interact with digital content in relation to the real world. Holography is the only visual recording and playback process that can record three-dimensional world on a two-dimensional recording medium and playback the original object as a three-dimensional image. Holograms can be viewed from different angles and distances, but unlike real objects they do not have mass, so they do not offer any physical resistance. Microsoft HoloLens is the first wireless holographic computer; it allows you to place holograms in your physical environment. 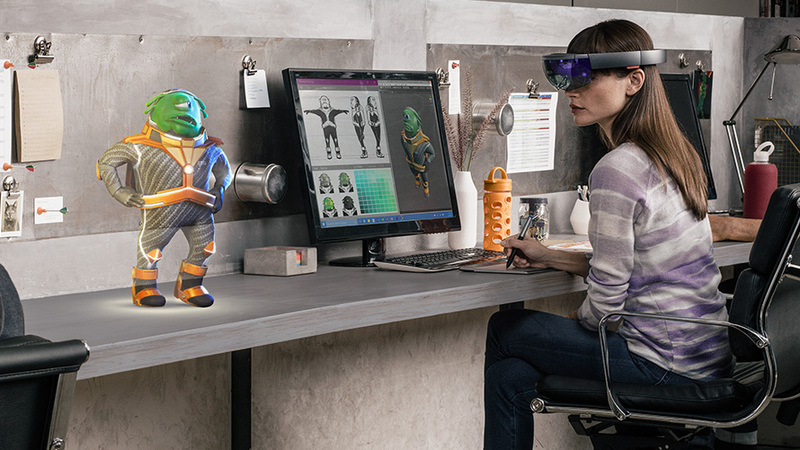 Just by using your gaze to navigate and explore you can interact with holograms using HoloLens, you can also use your voice to communicate with your apps. Furthermore, HoloLens will adjust to fit a wide range of an adult head sizes and shapes in order for people with glasses work comfortably. Developers are excited for the possibilities of Microsoft's HoloLens, imagine movie theatres and museums having holograms it could transform how we interact with the world. Want to know more about this awesome device? Follow this Link!